La Fortezza is located in the heart of Sannio Benevento and spreads over a total of 20 hectares of vines. The winery is born from the great passion of the founder Enzo Rillo for his land. 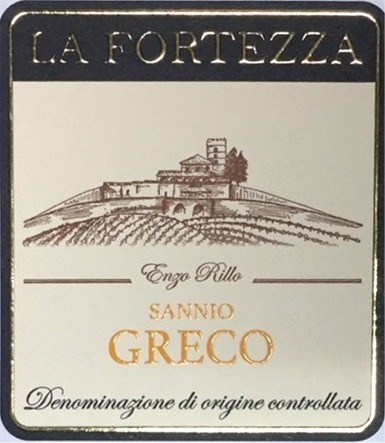 “La Fortezza” was built on the belief that making great wines starts in the vineyards and that the strength of the estate lies on the quality soil, sun exposure, altitude and care of the vineyards. The project is based on the strong belief that producing a very good vintage is to express great love and strong passion for what they do, and to ensure the customers receive high quality wines with a stylish appeal. Winery Philosophy: Producing “a very good vintage” is first to express great love and strong passion for what we do, and secondly to ensure our customers are receiving quality wine with a stylish appeal. Torrecuso, where La Fortezza is located, extends on the eastern side of the Regional Park of Taburno-Camposauro: the slopes are a continuous alternation of vineyards, woods and small fields, to which only in the last hours of the day the profile of Mount Taburno subtracts light and heat. Here the work of man - the diligent action of the peasant - has not ravaged, invaded nor defaced. A territory that is harsh yet generous, and that has decided to understand, deepen and know within the attachment we have for our land what the deepest meaning of the Samnite pride is: awareness and dimension of a freedom that once was only a desire to defend their land from the Roman armies, but that today is an attachment for what it represents and expresses in terms of culture, folklore and productions. The province of Benevento has for centuries produced excellent grapes for excellent wines and represents about 40% of the vineyard area of ​​the Campania Region. While they believe that "wine is made in the vineyard", their real strength actually consists of a mix of soil quality, sun exposure, altitude and care of the vineyard. Their vines Aglianico del Taburno are in such quantity that they permit them a careful selection in the vineyard for the different range of wines and guarantee the production of wines of the highest quality such as the Reserve, whose grapes come from a vineyard about seventy years of age. Falanghina del Taburno benefits from a good sun exposure that brings an optimal result in terms of sugar content, aromas and acidity of the wine. The cellar is located at the very heart of the vineyards. It is completely covered with stone and well-integrated into the surrounding landscape. It consists of two separate bodies. In the upper part is an enchanting place with a wonderful view towards the Apennines that separates Campania from Puglia. The underlying body opens over two medieval-style doors that are rigorously carved in solid wood, and it is home to the production activity - a perfect blend of tradition and modern technology. The barrel vaults are part of the aging room that is entirely covered with terracotta bricks and partly excavated in the tuff. This brings us back to the idea of the old "cellars" of the rural farmhouses - the places that were destined to conserve both wine and food. The processing room, the winemaking equipment, the bottling and labeling room, the steel tanks and the warehouse complete the cellar, with a potential production of about two million bottles.